chez Didot (Moutardier per l'ultimo volume), 1746. Venti volumi in-quarto (cm. 25,5), pp. 12.000 ca. complessive. Con ritratto dell'autore all'antiporta del primo volume e 595 tavole f.t. incise in rame (di cui molte ripiegate). Solida ed elegante legatura uniforme, strettamente coeva, in piena pelle bazzana, dorsi a nervi con titoli e ricchi fregi in oro. Esemplare genuino ed in ottimo stato di conservazione generale. Si segnalano i seguenti difetti: piccole mancanze limitate a 3/4 cuffie, tarletto al margine bianco di poche carte di due volumi, una gora chiara all'angolo delle prime carte del quattordicesimo volume ed una decina di tavole un po' brunite. Per quanto riguarda la collazione: l'opera è stata minuziosamente controllata e tutti volumi coincidono esattamente con gl'indici delle tavole, con le bibliografie e con i paragoni eseguiti su altri esemplari. Solo il ventesimo ed ultimo volume, che non possiede un indice, si presenta con 8 tavole (7 vedute di cui 5 ripiegate ed una carta geografica - carta dell'isola di Tahiti) ed è verosimilmente privo di 8 ulteriori tavole. Opera di straordinaria bellezza ed importanza, munita di un apparato iconografico ricchissimo composto da carte geografiche e vedute. Lugduni Batavorum: Conradum Wishoff; Georg. Jac. Wishoff, 1746. 28 pages, followed by 411 pages of text including an index. 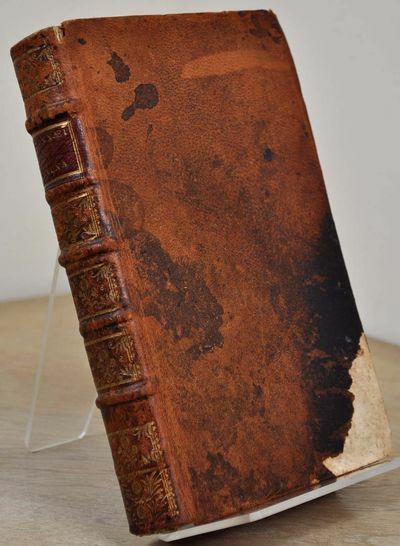 Original 18th century full leather binding is moderately rubbed and worn, remaining intact and attractive except for dark staining to the lower corners of both boards. There is minor discoloration to the edges of the first few pages. Illustrated with a frontisportrait and two fold-out plates. The text is clean and unmarked. The inner front hinge is slightly weakened, and the front blankleaf is lacking. Title continues "...Descriptionibus Insectorum.". First Edition. Hardcover. Very good condition. Octavo (8vo). Autograph letter, signed, to Madame de Chalendray (Caloline Thérèse Jeanne Bordes de Chalendray?)]. [Paris], 12 Floréal VI [= 1 May 1798]. 4to. Autograph letter in French, signed, written in brown ink on one side of a single leaf of laid paper.With: [PORTRAIT]. BOILLY, Julien-Léopold. Van Spaendonck, (Gérard) [Paris], [1821?]. Folio. Lithographic portrait on wove paper, mounted on laid paper (ca. 1830?) with a manuscript note at the head. - Gerard van Spaendonck (1746-1822), born in Tilburg, studied painting with Harreyns in Antwerp and is known especially for his botanical oil paintings and watercolours. He moved to Paris in 1769 and became a painter of miniatures at the court of Louis XVI. In 1780 he was appointed professor of flower painting at the Jardin du Roi in Paris, which became the Jardin des Plantes at the Muséum Royale d&#146;Histoire Naturelle in 1793, where Spaendonck also helped run the Muséum. At the Jardin he taught the brilliant young botanical painter Pierre-Joseph Redouté, who was to become the most famous flower painter of all time. Van Spaendonck was elected to the Institut Royale de France in 1795. He here writes to Madame de Chalendray, perhaps Caloline Bordes de Chalendray (ca. 1780-ca. 1799), then about eighteen years old and recently married, sending her two tickets for a private viewing of the galleries at the Muséum and (on the same or a different day) to see the elephants. These two Asian elephants, Hans and Parkie, were confiscated by the Revolutionary government from the menagerie of Stadholder Willem V, only about five weeks before the present letter.The portrait of Van Spaendonck, signed "Jul Boilly" (1796-1874), notes that he is a member of the Légion d'Honneur, an honour he received in 1804, but does not note his death in 1822. It has been dated 1821 on grounds unknown to us and cannot be much earlier, given the artist's age.Two edges of the letter reinforced on the back, some wrinkles and old folds, but still in very good condition. 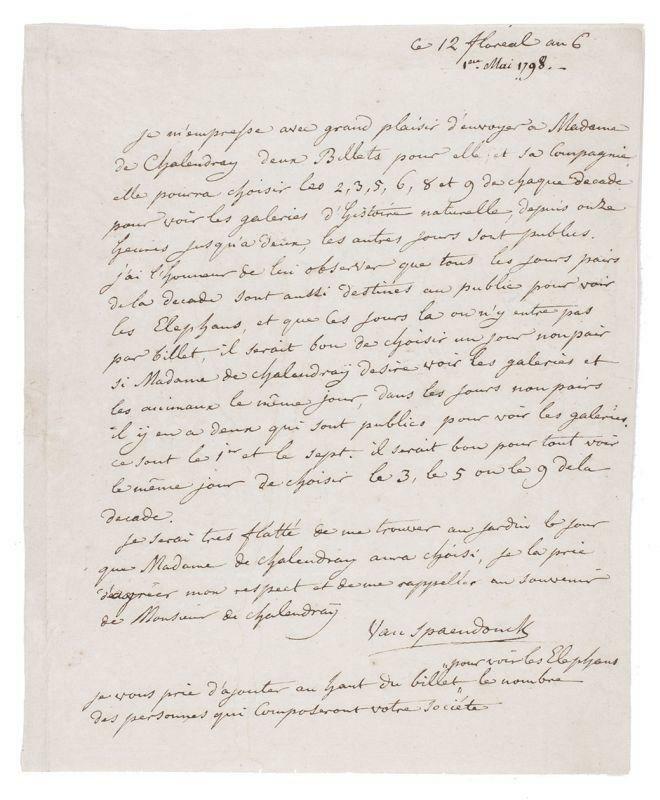 A letter from the botanical artist Gérard van Spaendonck, inviting a young lady to see Paris's new elephants. De natuurlyke historie der insecten.Haarlem and Amsterdam, C.H. Bohn and H. de Wit (vols. 2-4: C.H. Bohn (and son) and H. Gartman), [1765-1788]. 4 volumes (the fourth in 2 parts). Large 4to (27.5 x 21.5 cm). With 3 hand-coloured engraved frontispieces, an engraved author's portrait and 359 hand-coloured engraved plates on 288 leaves, protected by tissue guards. Modern half sheepskin(?) with red 19th-century gold-tooled spine-labels. Nearly wholly untrimmed. - Hagen II, p. 84; Landwehr, Col. Plates 161; Nissen, ZBI 3467. First Dutch edition of one of the finest works on insects ever produced. The Dutch edition is in many ways preferable over the original German, being on better paper and the plates coloured with much more care. 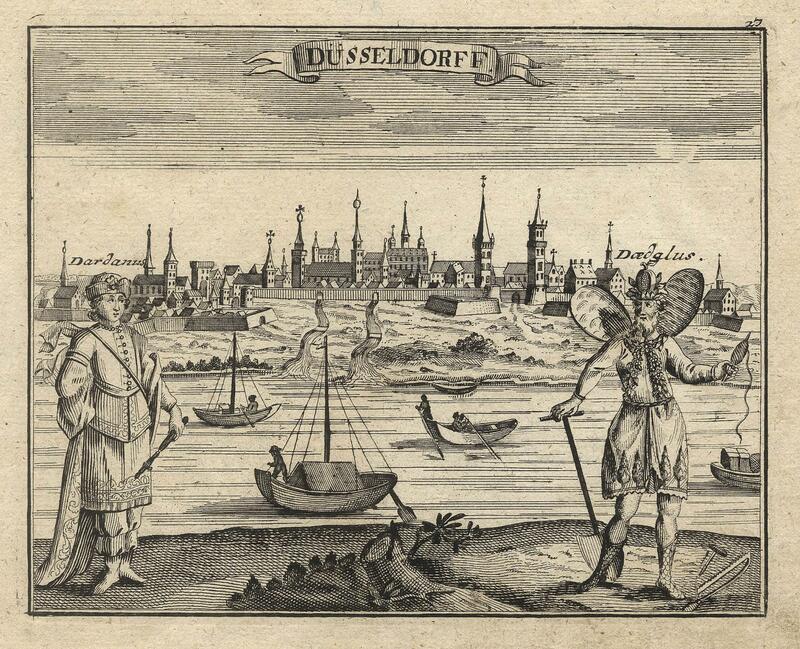 The German original was published in Nuremberg in 1746-1792 as Der monatlich-herausgegeben Insecten-Belustiging. The translator was Rösel's son-in-law, C.F.C. Kleeman, who added considerable supplementary material. It is also said that the plates in this edition were personally hand-coloured by Kleeman and his wife.Most of the works is devoted to butterflies, but it does not limit itself to insects: the third and fourth volumes also treat lobsters, scorpions, polyps and spiders. Many of the tissue guards with Latin names added in manuscript, in a 19th-century hand. Lacks 2 half-titles, 3 part-titles and a "Voorrede", otherwise in good condition. Bindings rubbed, but still in good condition. A beautifully illustrated work on insects with wide margins. Die sieben heiligen Grundsäulen der Ewigkeit und Zeit. In deutlichen Sinnbildern, zum Besten aller Weisheit Suchenden. Nebst dem Brunnen der Weisheit und Erkenntniß der Natur. Den Grundsätzen der wahren Alchemie. Und Vier merkwürdige Briefen eines Adepten [Mutmaßl. Verf. : Antonius a Terra]. Herausgegeben von AdaMah Booz. [VORGEBUNDEN: W. Hutchinson: Der Geist der Maurerey]. [2. Ausg.]. 132 S. [recte 122 Paginierung springt von 23 auf 33, so kmpl. ], mit zwei Textholzschnitten, 8, Pappband d. Zt. mit Rückenschild Wolfstieg IV, 10753: "Selten" Slg. du Prel 124 Caillet 1180 (gibt irrtümlich 142 S. an) Brüning 5308. - Der Leipziger Arzt u. Freimaurer Adam Michael (auch Melchior) Birkholz (1746-1818), veröffentlichte auch unter dem Pseudonym "Philovite" u. als "Adamah Booz" noch weitere alchemischtisch-rosenkreuzerische Werke. (Siehe auch: Ferguson I, S.108 Knopp II, S.222ff u. Ferchl S.48). - Es fehlt, wie fast immer, die große "Tabelle", weil sie gesondert geliefert wurde (sie ist auch Wolfstieg unbekannt) zu dieser wurde dem Leser auf S.7 empfohlen: "daß sie der Liebhaber zu seinem Gebrauche unter Glas in Rahmen fassen, und in seinem Oratorio und Laboratorio aufhänge lasse." - VORGEBUNDEN: Der Geist der Maurerey. In moralischen und erläuternden Vorlesungen. Von Wilhelm Hutchinson, Meister der Barnardcastle Loge Konkordia. Aus dem Englischen übersetzt. Erstausg. Berlin, bey Christian Ludwig Stahlbaum, 1780, 220 S., 1 Bl., mit gestoch. Titelvignette, einer Textfig. u. gestoch. Taf. Wolfstieg 21609. - Einband leicht bestossen u. berieben Vorsatzblatt mit kl. Besitzervermerk "Der Geist der Maurerey" mit vielen Anstreichungen in roter Tinte, dazu auch Marginalien u. Randskizzen mit Bleistift beide Titel tlw. braunfleckig, sonst ein gutes Expl. Zurich: D. Gessner, 1746. Hardcover. 8vo - over 7¾ - 9¾" tall. 2 Parts in 1 Vol. : 16+488 pp. ; VIII+384 pp. Bound with: SULZER, Johann Georg, Untersuchung von dem Ursprung der Berge, und andrer damit verknüpften Dinge. Zürich 1746. 8vo. Contemporary half calf, red morocco lable. ----Lonchamp 2645. Waber I, 32. Steiger I, 160. Haller I, 1043. - With the map of Glarner Land, and the tables of landscapes (Gotthard, Teufelsbrücke, Vierwaldstättersee, Luzerner Drachenstein, Pfaffers bzw. Pfaffikon etc.). The first part contains the tightened summary of of the 1705-07 unsystematical "description of natural history of the Swiss country" appeared in weekly supplies. There now all this messages very disjointed and informal were, then sel. the Joh has. George Sulzer of the scholarly world certainly a large service gethan, selbige to umzuschmelzen and. give change. The notes of the publisher are very good and useful" (Haller). 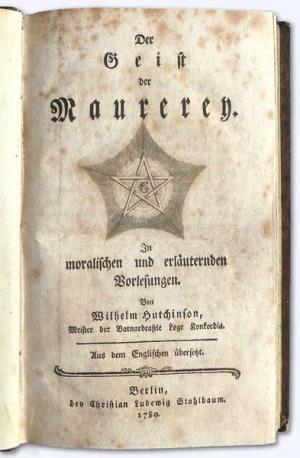 The second part contains the first German expenditure of the 1708 and 1723 first Latin of reports Scheuchzers appeared over its alpine journeys. "Scheuchzer was beside Conrad Gessner and Albrecht of Haller a most important universal scholar, that Switzerland it own calls. It combined a physician, a natural scientist, a mathematician, a paleontologist, a Geodaeten, a geographer, a historian, a Numismatiker, a theologian and a Philologen "(Fueter) in itself. Scheuchzers natural history was trailblazing in the area of regional studies, alpine research and the physical geography of the Swiss high mountains. With its historical data this expenditure beside Tschudis chronicle formed one of the most important sources for Schillers "Tell". On its journeys Scheuchzer made the first barometric levellings in the mountains, examined the glaciers, collected Petrefakten etc.. Under the copper boards are to emphasize the beautiful map Graubuendens of G. Walser, the interior opinion of a cheese factory, the representation of a total solar eclipse, illustrations of minerals and petrifying as well as opinions among other things from bath Pfaefers, Walterswil, pc. God hard etc.. Johann George Sulzers writings in the appendix offer valuable, likewise additions supported by own observations (Curtis Schuh's Bibliography of Mineralogy, The Mineralogical Record). Fine. Essay d'odontotechnie, ou dissertation sur les dents artificielles. Où l'on démontre que leur usage n'est ni moins commode, ni moins étendu, que celui des dents naturelles. Paris, Antoine Boudet, 1746. ____ Seule édition de cet ouvrage rare. Premier livre uniquement consacré aux prothèses dentaires. Publié la même année que la seconde édition du livre de Fauchard, cet ouvrage apporte plusieurs innovations sur celui-ci. Mouton utilise des "calottes d'or", des couronnes, pour protéger les dents. Il est aussi l'inventeur d'une nouvelle méthode pour fixer les dents artificielles à l'aide de ressorts: les "dents à coulisses". Il relate avoir effectué plusieurs transplantations de dents avec succès, ce qui contribua largement à sa renommée en France et en Angleterre. Garrison-Morton 3672-2 : "The first specialized book on dental prosthetics." Guérini pp. 303-304. ***** First edition. The first specialized book on dental prosthetics. Garrison-Morton 3672-2. In-12. [160 x 95 mm] Collation : XI, (1), 162, (4) pp. Demi-basane noire, dos orné, tranches marbrées. (Reliure de la fin du XVIIIe ou du début du XIXe.). "Agra" (Paris): avec Privilege du Grand Mogol, 1746. 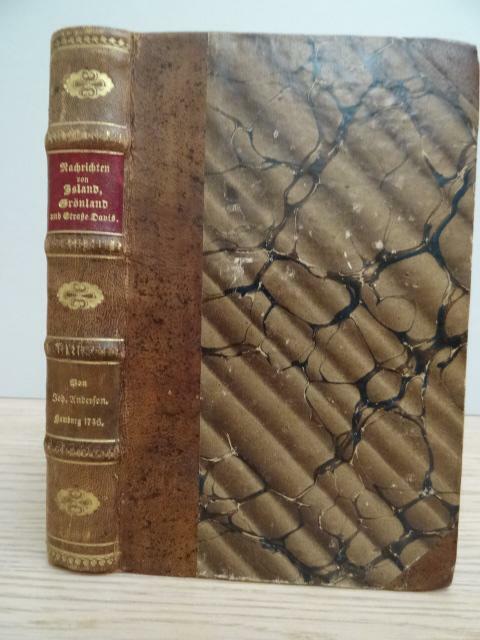 Two volumes in one, octavo; in contemporary French mottled calf, spine gilt, crimson label. 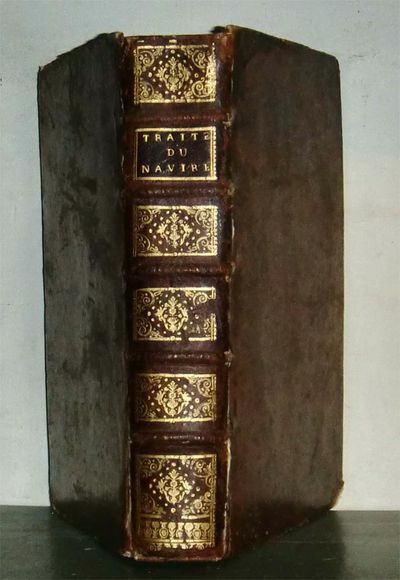 First edition: a popular and often reprinted satire on Parisian manners, set in the Indies, in a "fertile land now known to geographers despite being missed by Strabo and Ptolemy" ('une contrée fertile des grandes Indes, dont l'extrême exactitude de nos Géographes modernes, est parvenue, en dépit de Strabon & de Ptolomée... ').La Morlière (1719-85), musketeer, member of the Order of Christ, and bon vivant, was famous for his lengthy involvement with French theatre, particularly through his links with Voltaire. Before he found his niche in the theatre, he wrote several rather licentious novels, in particular Angola, which was held up by contemporaries such as Édouard Thierry as 'le roman du siècle, le livre des jolis boudoirs, le manuel charmant de la conversation à la mode'. The setting for the novel in the Indies allows Morlière broad scope for satire, especially in his depiction of the just king Erzeb-can's marriage to Princesse Arsenide, darling of the world of luminous fairies on the 'côte gauche'. Most of the tale is devoted to the adventures of their child Prince Angola, who travels throughout the Indies and Arabia. Some spots, a few bumps but a very good copy. Traité du castor, dans lequel on explique la nature, les propriétés & l'usage médico-chymique du castoreum dans la médecine. Augmenté des observations de cet auteur, & de plusieurs autres médecins célèbres, de l'histoire des maladies dont on n'avait point encore parlé, & d'un grand nombre de découvertes, par Jean Francus. Paris, Durand, 1746. ____ Première édition en français. L'ouvrage traite principalement des vertus pharmacologiques provenant du castor et particulièrement du castoreum. Illustré par trois planches gravées montrant un castor et ses particularités anatomiques. L'ouvrage a été publié par Johan Francus [Mueller] , après la mort de l'auteur, à partir d'un manuscrit "enseveli dans la poussière depuis plus de quarante ans" (Préface). Johan Francus a ajouté de très longues notes. Traduction de Marc Antoine Eidous. On trouve en début de volume un "Extrait d'une lettre de Mr Sarrasin, médecin du roi en Canada, touchant l'anatomie du Castor." Les papiers des plats ont été restaurés. *****. In-12. [176 x 100 mm] Collation : (2), LX, 280, (4), IV pp., 3 planches h.-t. dépliantes. Demi-basane rouge à coins, dos à nerfs. (Reliure de l'époque.). London Printed by R. Reily, for T. Osborne, in Gray's-Inn MDCCXLVI. 8vo: ,xvi,,487,4,pp, with advertisement leaf preceding title page and nine copperplate engravings (three folding), comprising world map, celestial chart, map of the Peloponnesus, two plows on one sheet, compass rose and four botanicals, all about Fine with barest hint of toning. Latin text with Martyn's English translation and copious commentary on agriculture and botany. Full calf, covers with edge roll in blind, spine richly gilt (central lozenge and leaf corner tools ) in six compartments between raised bands, red morocco lettering piece gilt, title page in red and black. Very skillfully rebacked with original spine laid down, pages clean and bright. Provenance: copper-engraved armorial bookplate to front paste down, with motto from Terence ("nihil humani a me alienum puto") and name defaced' owner's name (Frank W. Bush) in old ink to front fly leaf. A splendid copy. Rothschild 1392 and Gibson's Library, p. 278 (for first edition). Moss II, p. 724. ESTC Citation No. T67045. Near Fine The Second Edition. In addition to his accomplishments as a botanist, John Martyn was a keen Latinist with a strong classical education, those two passions that merged in his later years, which he devoted to producing an edition of Virgil, with a translation and natural history notes. His first edition of the Georgicks appeared in 1741, one year before the copy on offer here, and the Bucolicks in 1749, but of the Aeneids he left only fragmentary material, which was seen into print only after his death. (ODNB). Planiglobii Terrestris Mappa Universalis Utrumq Hemisphaerium Orient et Occidentale repraesentans... Mappe - Monde qui represente les deux Hemispheres savoir celui de l'Orient et celui de l'Occident tiree des quatre Cartes generales de ... Hasius. Nuremberg: Homann Heirs. 1746. Copper plate engraved map with original hand color, neatline 17 1/2 x 20 3/4 inches on sheet 21 1/2 x 25 inches, centrefold as issued. Areas of discoloration in the left hemisphere of the map to the right of North and South America and along upper centrefold (these look considerably worse on the digital image than they actually are); 1/4 inch lightly abraded spot in unprinted area at lower right, and to verso along centrefold where binding tab was attached; light discoloration in upper margin. Large double hemisphere map with four small polar spheres by M.J.M. Lowitz after Hasius. The eastern seaboard of Australia is completely uncharted (with the southern coast only of "Tera Diemen"), as is the northern coast of America. Augsburg, Johann Andreas Pfeffel, 1746 - [gestochenes Porträtfrontispiz 7 nn Bll.] 112 S. [5nn Bll.] und 51 gefaltete Kupferstichtafeln. Außergewöhnllich aufwendig und sorgsam gearbeiteter Dorfner dos-à-dos Einband in bestem Erhalt. Sprache: Deutsch Gewicht in Gramm: 1200 Folio Doppelter Halblederband über 4 Bünden in dos-à-dos Bindung mit handgemachtem Buntpapierbezug signiert "Werkstatt Prof. Dorfner Weimar"
Definições, e estatutos dos Cavalleiros, e Freires da Ordem de Nosso Senhor Jesus Christo, com a historia da origem, e principio della . . . .
1746. 4 voll ril. in sky con sovr., cm 29x25, Vol. I: Text, pp 414; Voll. II, III, IV: 1295 tavv prevalentem. b/n. Ottimo esempl. Neu-vermehrter Curieuser Antiquarius, das ist: Allerhand auserlesene geographische und historische Merckwürdigkeiten, so in denen Europäischen Ländern zu finden; Aus berühmter Männer Reisen zusammen getragen, und mit einem zweyfachen Register versehen. 8. verm. und verb. Auflage. [Und:] Fortsetzung des curieusen Antiquarii, das ist allerhand auserlesene Geographische und Historische Merckwürdigkeiten, so in Asia, Afrika und America zu finden etc. (2 Tle. in 1 Bd.). Hamburg, Joh. Christian Herold 1746 u. 1742. - Nicht bei Sabin. Beliebte, immer wieder aufgelegte Sammlung von Reisebeschreibungen basierend auf verschiedenen Quellen. Enthält Abschnitte über Orte, Monumente, Naturphänomene, Tierwelt und Völkerkunde in zahlreichen europäischen Ländern, Asien, Afrika und Amerika. Mit einem umfassenden alphabetischem und geographischem Register. - Paul Ludolph Berckenmeyer (1667-1732) war Ober-Küster in St. Petri (Hamburg). (Zedler Supl.3, 742). - Mit Abbildungen vom Heringsfang, sibirischen Jägern, einer Karavanne, Perlenfang, Elefantenfang, das Trinken von Rinderblut bei den Hottentotten etc. - DIESES OBJEKT UNTERLIEGT DER DIFFERENZBESTEUERUNG. Kl.-8°. Titelbl. (rot- u. schwarzgedr. ), 4 n. num Bll. (Vorrede), 978 S., 43 nn. Bll. (Register) u. Titelbl. (rot- u. schwarzgedr. ), 4 n. num Bll. (Vorr. ), 384 S., 30 nn. Bll. (Register). Mit 2 gest. Frontispizes und zus. 28 (dav. 23 gefalt.) [v. 30] Tafeln u. 1 ganzs. Holzschnitt-Abb. im Text. Marmor. Lederbd. der Zeit auf 4 Bünden m. Titel (auf mont. Papierschi.) u. Verz. in Goldpräg auf Rücken, Kleisterpapier-Deckelbezügen u. umseit. Sprengschnitt. Goldauflage tlw. abgelöst, Wurmgang am ob. Kapital, Ecken bestoßen, Deckel etw. berieben, Schnitt fleckig, Vorsätze beschrieben (m. Bleistift), ersten Ss. wasserrd., im Text tlw. gebräunt aber noch sehr frisch u. kaum abgegriffen. 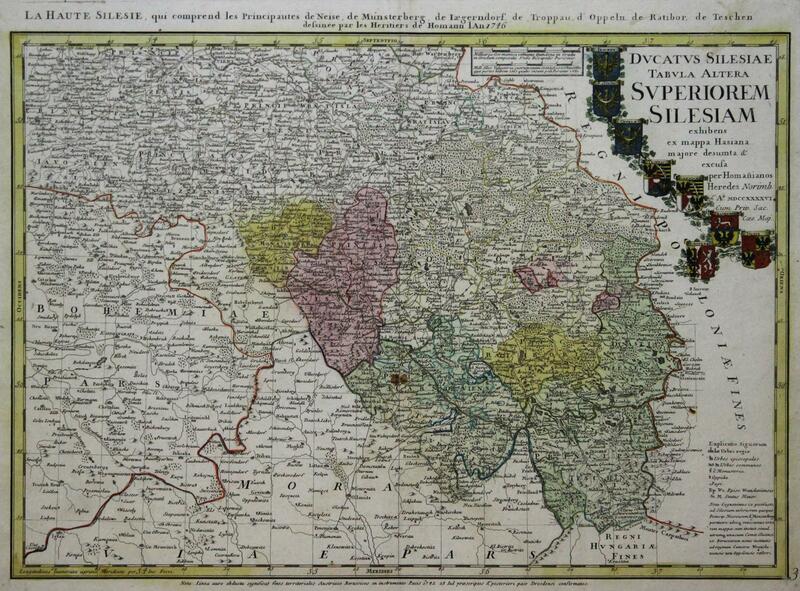 Kupferstich - Karte, n. Hase b. Homann Erben, "Dvcatvs Silesiae Tabvla Altera Svperiorem Silesiam". Karten - Lowitz, Georg Moritz / Hase, Johann Matthias / Homann. 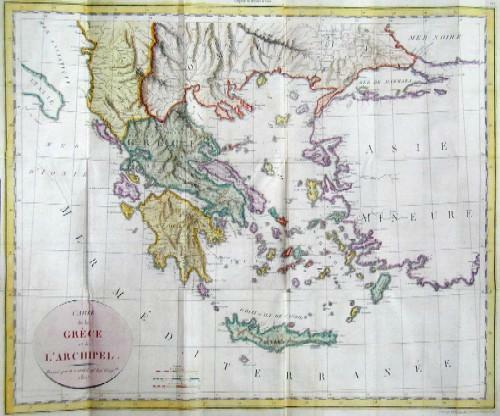 Planiglobii Terrestris Mappa Universalis Utrumq Hemisphaerium Orient et Occidentale repraesentans Ex IV. Mappis generalibus, Hasianis composita et adjectis ceteris hemisphaeriis designata a G. M. Lowizio Excudentibus Homan Heredibus. Mappe-Monde qui represente les deux Hemispheres savoir celui de l'Orient et celui de l' Occident tirée des quatre Cartes generales de Seu M. le Prosess. Hasius, dressée par M. G.M. Lowitz, et publiée par les Heritïers de Homann. 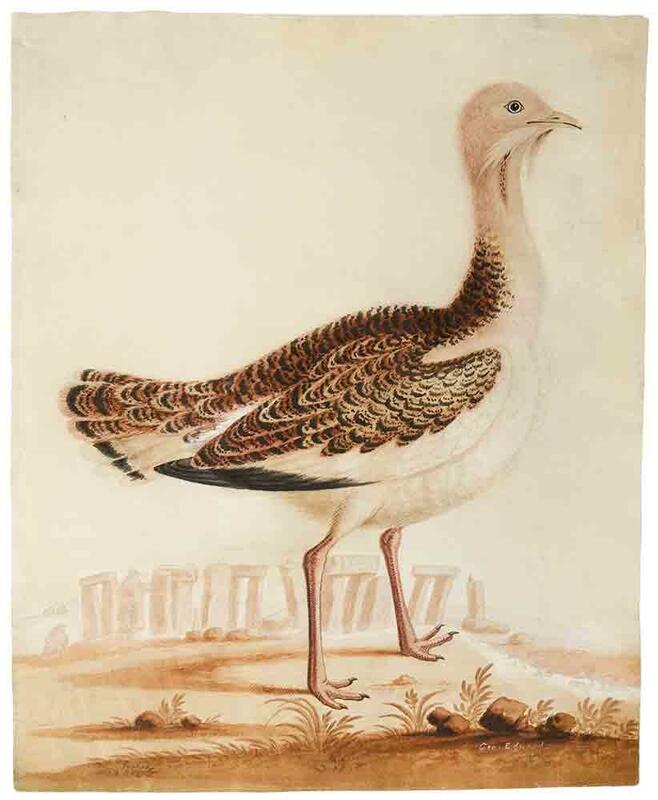 Nürnberg, Homanns 1746 - Plattengrösse: 47,5x 56,7 cm. Blattgrösse: 54,5x63,6 cm. Kolor. gestoch. Weltkarte, gefaltet. Weltkarte in 2 Hemisphären-Teilen, mit einer Kartouche oben links mit lateinischem Text und oben rechts mit französischem Text . - (Etwas wellig und fingerfleckig. Unterer Rand mit Wasserlfeck und kleinen Einrissen. Die linke Hälfte im Rand hinterlegt). 72 x 55 cm Paris, Gautier, Quillau et Lamesle, 1746, , 72 x 55 cm, 1 planche gravée sur cuivre et imprimée en quadrichromie, Planche 17 extraite de l'ouvrage Suite de l'essai d'anatomie en tableaux imprimés représentant au naturel tous les muscles du pharinx, du tronc et des extrémités supérieures et inférieures [...] par M. Duverney [...] comprenant 12 grandes planches par le Sieur Gautier [...] - Myologie complète en couleur et grandeur naturelle, composée de l'essai et de la suite de l'essai d'anatomie, en tableaux imprimés, par M. Gautier d'Agoty, père (1716-1785) de l'Académie des Sciences des Belles Lettres de Dijon et Pensionnaire de Sa Majesté. Estampe en couleur gravée d'une façon régulière et fine, en manière noire en quatre plaques. Sur le bord droit, il est inscrit : "Planche 17 Démontrée par Duverney, Peinte et gravée Par J. Gautier". 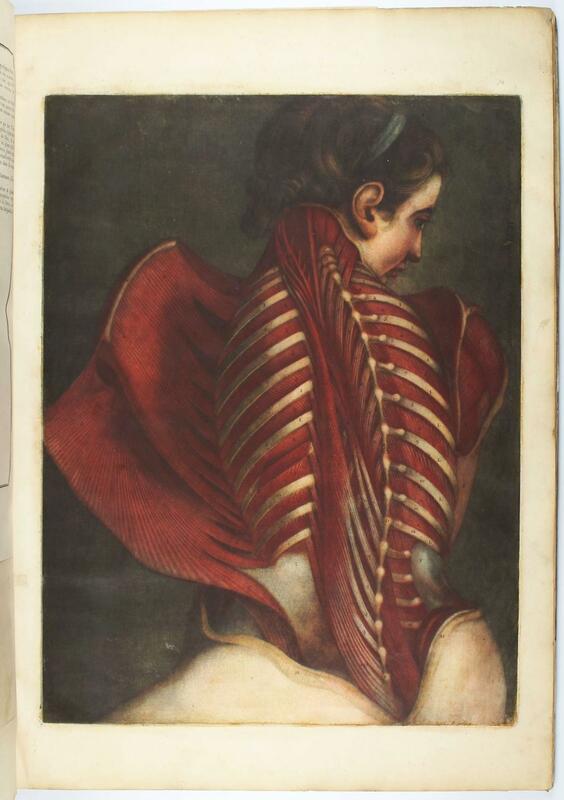 "La Myologie reste sans conteste le chef-d'oeuvre de Gautier, le livre auquel il accorde le plus de soin, tant dans l'invention de ses images que dans le traitement de la technique" (Anatomie de la couleur, BNF, 1996, p. 113). Très bon état. Papier ciré. Lisbon: Officina Sylviana, 1746. Recent calf in the style of the period.. Small stain on p. 29/30, traces of worming in inner margin of prelim. ff., and slight traces of marginal worming in 202 ff. Short tear repaired in pp. 429/430 & 557/558.. First edition of still the best biography of this controversial figure (Griffin, Latin America: a guide to the historical literature, 3329). 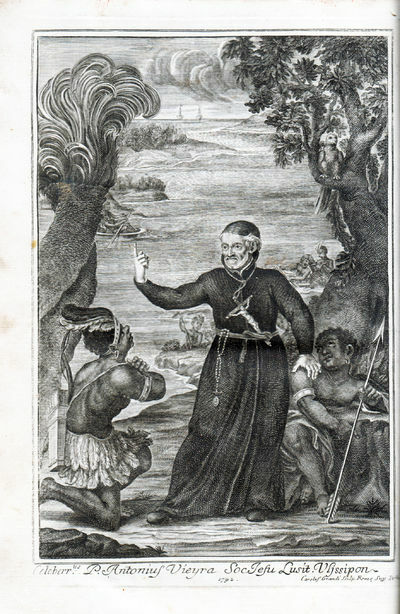 A near contemporary of Vieira, Barros gives valuable and important information about the Jesuits missionary work and the Indian tribes contacted by them. Borba de Moraes (1983) I, 83. Sabin 3645. Bosch, Brasilien-Bibliothek, 190. Streit III, 1258. De Backer-Sommervogel I, 927, no. 7. Serafim Leite IX, 357, "ediÃ§Ã£o esmerada." Alden & Landis 746/19. Rich , 12. 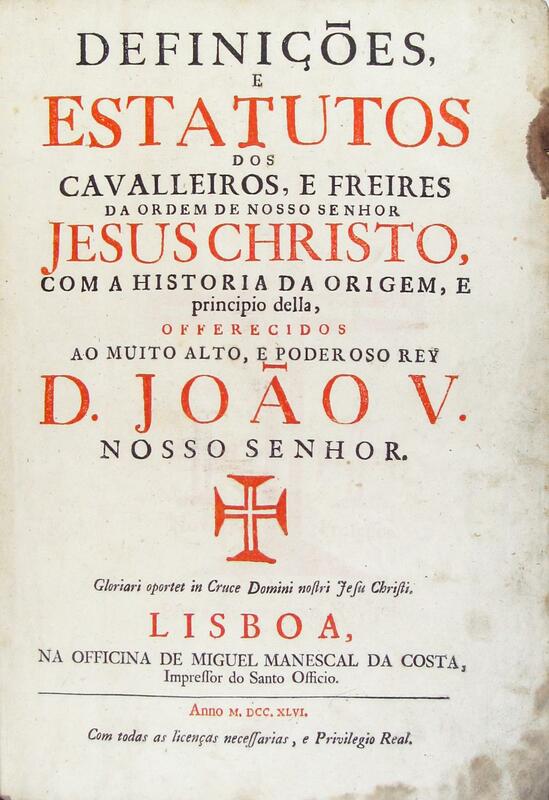 Soares, HistÃ³ria da Gravura ArtÃ­stica em Portugal, 521 & 522. Gauz, Portuguese and Brazilian Books in the John Carter Brown Library 1537-1839, 746/1. InnocÃªncio I, 59. Artist: Tardieu Jean Baptiste ( - 1816 ) ; issued in: ; date: 1807 1746 - - technic: Copper print; colorit: original colored; condition: Very good; size in cm : 40 x 48,5 - Vita of the artist: Ambroise Tardieu ( 1788 - 1841 in Paris) was an eminent French cartographer and engraver, and is celebrated for his version of John Arrowsmith's 1806 map of the United States. Tardieu's son, Auguste Ambroise Tardieu (1818-1879), was also an artist and a famous forensic medical scholar, who supplied the illustrations for Dr. Pierre François Olive Rayer's three-volume Traité des maladies des reins (1839-41), a treatise on diseases of the kidneys. Simon Zellers ersten Geburtshelfers und Oberwundarztes am vereinigten allgemeinen Gebähr= und Krankenhause in Wien Bemerkungen über einige Gegenstände aus der pracktischen Entbindungskunst. Nebst der Beschreibung des allgemeinen Gebährhauses. Mit Kupfern. 1. Auflage. 8 (19,5 x 12,5 cm). XLV, (3), 108 S., mit gestochener Titelvignette, 1 gestochene Abbildung, 2 mehrfach gefaltete Bl. mit 3 Figuren. Lederband der Zeit mit goldgeprägten Rückenornamenten. Zeller von Zellenberg, Simon *1746-1816* (ADB Band 45, S. 33/34). - Einband vor allem am Rücken stärker berieben. Stellenweise leicht stockfleckig. S. 25/26 fehleingebunden (S. 26 kommt zuerst). Tafel 2 am rechten Rand beschädigt, geknittert und gebräunt (nicht bis in die Abbildungen hinein!). Sonst sehr gut erhaltenes Exemplar. Gesamtansicht, i. Vgr. 2 Allegorien, links Dardanus, rechts Daedalus. Eröffnete Jäger-Practica, Oder der wohlgeübte und erfahrne Jäger, darinnen eine vollständige Anweisung zur gantzen Hohen und Niedern Jagd-Wissenschafft . In drei Theilen. Journal d'un Voyage au Nord en 1736 & 1737. Amsterdam, Löhner 1746. Liten 8vo. (16), 370 (feilpag. 340) s. 16 foldepl, kobberstikk prosp. og kart. Samt. helskinnbd., ryggen rep. N. på fribl., smusstbl. litt pl. Ifølge Table des Figures skal det være 18 pl., men iflg Bring mangler alle undersøkte eksemplarer prospektene over Piteå og Torneå og disse har sansyligvis aldri blitt utgitt.Historiens kanskje mest berømte ekspedisjon for lengdegradoppmåling [1736-37], ikke minst for å konstatere at jorden er flatrykt ved polpunktene. Ekspedisjonen besto bl. a. Maupertuis - som skrev egen bok om den - Anders Celsius, matematikkgeniet Clairaut, samt presten Fader Outhier. Den 20 juni 1736 ble de samlet i Torneå, og på bare 63 dager hadde de målt opp en triangelkjede på 107 km. Ekspedisjonen var finasiert av den franske kong Ludvig XV og ble gjennomført på bare ett år, noe som var eksepsjonelt med tidens utrustning og reisemåter. Outhier skriver om ekspedisjonen og resultatene, men også mye om Tornedalen og livet der; Tornedalingene var rene, kunnskapsrike og gjestfrie. Gedanken von der wahren SchÃ¤tzung der lebendigen KrÃ¤fte und Beurtheilung der Beweise derer sich Herr von Leibnitz und andere Mechaniker in dieser Streitsache bedienet haben, nebst einigen vorhergehenden Betrachtungen welche die Kraft der KÃ¶rper Ã¼berhaupt betreffen, durch Immanuel Kant. KÃ¶nigsberg: Martin Eberhard Dorn,, 1746 [recte 1749]. . Octavo (195 x 117 mm). 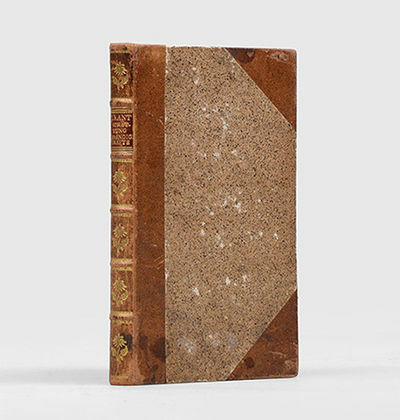 Contemporary sprinkled sheep and speckled boards, spine decorated with gilt rules and floral device in compartments, morocco label, all edges sprinkled. With two folding plates at the end. Lower edge and corners very lightly rubbed; an excellent copy. 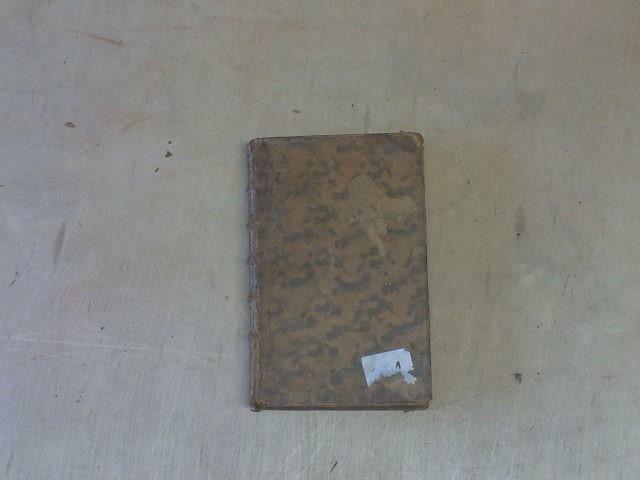 Very rare first edition of Kant's first book. "In his early years Kant pondered the nature of space and time first from the point of view of Leibniz and then of Newton, but eventually he found both positions unsatisfactory. In his Thoughts on the true estimation of Living Forces [the present work] he took Leibniz's view and tried to explain the nature of space by means of the forces of unextended substances (monads) that cause such substances to interact. He attempted to account for the threefold dimensionality of space by appealing to the laws that govern such interactions; but he was not very successful, as he himself admitted" (DSB). 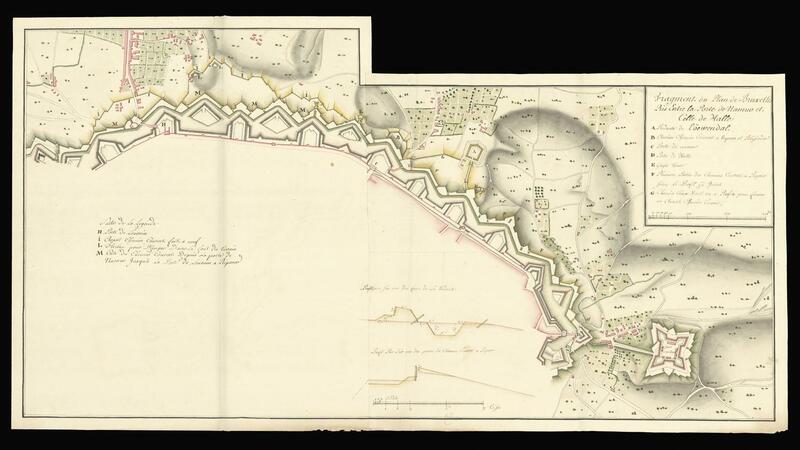 [c.1746] - The eastern fortifications of Brussels Manuscript plan on an irregular format made up of two sheets joined; original hand colour. The plan shows the developments to the fortifications around the eastern part of Brussells, thus where the Emperor's Palace is located. The left sheet has been added to the right one seeing as the title cites the Porte de Namur which is now in the middle of the plan. The key on the left foreground explains that the gate on the left hand side is the Porte de Louvain. The plan also presents two profiles: one of a fort with precise measurements and one of the covered paths. These are also highlighted in yellow to show that they have been completely repaired. 440 by 830mm. (17.25 by 32.75 inches). BOUND FOR THE DUKE OF ORLEANS - THE CORTLAND BISHOP COPY. 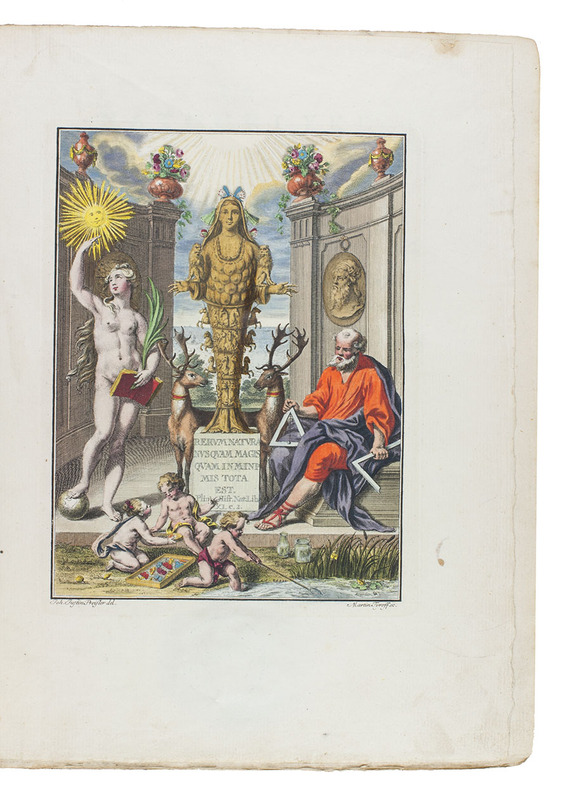 1 vol., 6-7/8" x 4-1/8", engraved bookplate of Louis Philippe D'Orleans to front pastedown. 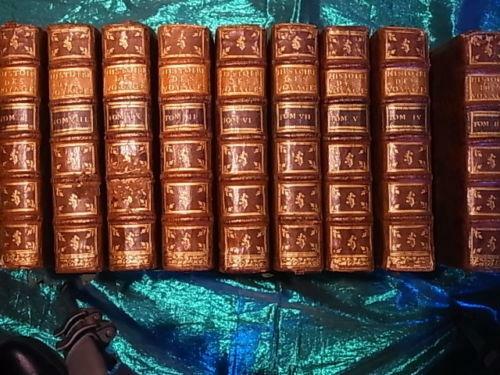 Bound in fine full dark red French morocco over cords, gilt decorated spine, spine panels with d'Orleans arms, covers ruled in gilt, covers with the gilt crest of Louis Philippe I, Duc d'Orleans, gilt dentelles, all edges gilt, hinges fine, head and foot of spine fine. Leather bookplate of Cortland Bishop to front pastedown, his sale April 27, 1938 Lot #1679. Louis Philippe ("le gros"), was born at Versailles in 1725 and became Duke of Orleans and head of the House of Orleans upon the death of his father on 1752. Traite du Navire, de sa Construction, et de ses Mouvemens. Paris: Quay des Augustins, 1746. x. 4 to. xl, 682, (4) pp. b/w folding plates, engraved title page, engraving in text, engraved head and tail pieces. 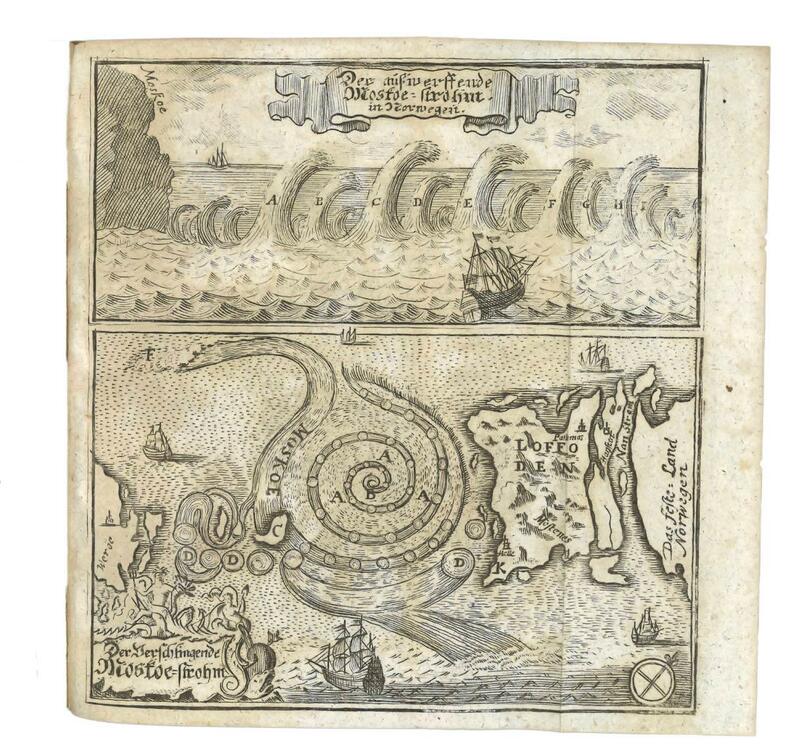 “First edition of the first treatise on naval architecture written on a scientific basis.” Horblit sale, 153. According to the Scott catalog, Bouguer knew his stuff. “He succeeded his father as professor of hydrography ... in 1713. In 1730 he was appointed professor of hydrography at Havre. 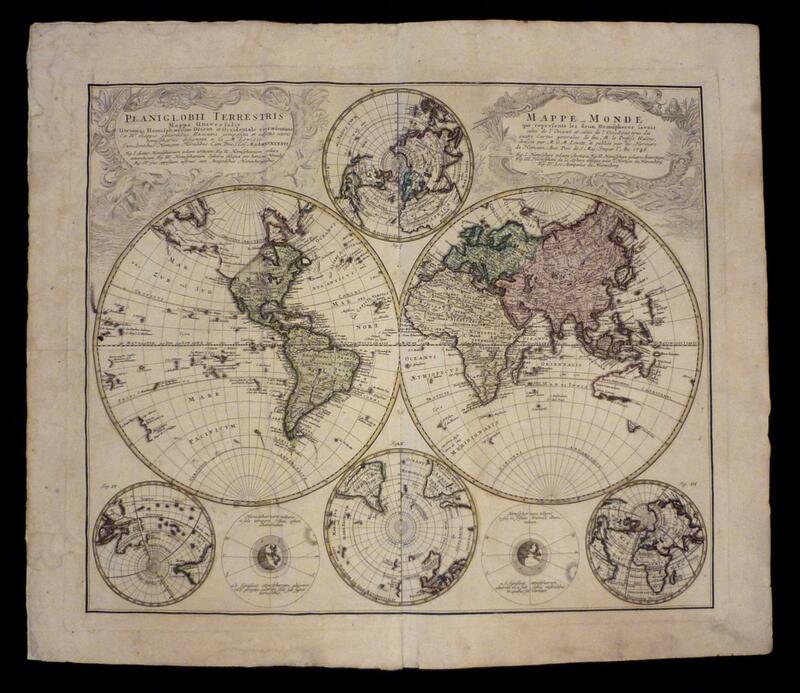 In 1735 he accompanied Charles Marie de La Condamine on a scientific expedition to Peru...” He was awarded several prizes by the Academie Royale des Sciences for his work in mathematics and navigation. Bouguer was one of the first to investigate mathematical principles as related to shipbuilding, and devised methods for calculating displacement and stability. Scott 256. Polak 1050. Contemporary mottled calf, spine gilt, joints worn but holding. The twelve folding plates are clean and fresh. [Ch' n' ha Cervell ava gamb.] La liberazione di Vienna assediata dalle armi Ottomane. Poemetto giocoso. E la Banzuola. Dialoghi sei. In lingua popolare Bolognese. [Prob. Bologna, c. 1746]. 1746. 8vo. (8), 248 pp. With engr. 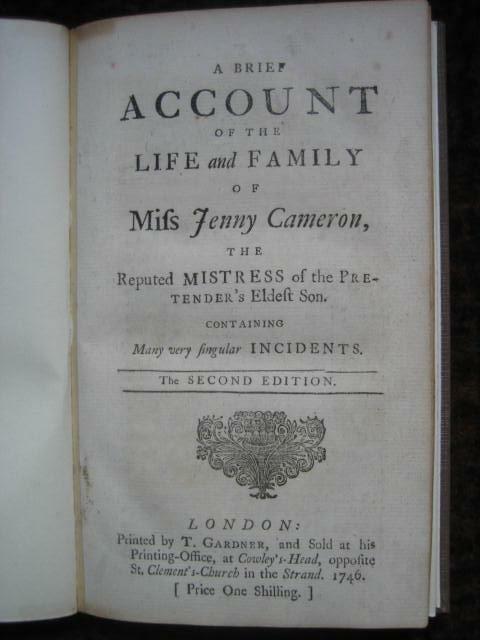 frontispiece and 12 full-page engravings by G. M. Cantarelli. Contemp. blue wrappers. Third edition (probably printed in Bologna) of Lotto Lotti's (1667-1714) poem celebrating the liberation of Vienna from the 1683 Turkish siege, written in the Bologna dialect and first published in Parma in 1685. "Divided in 5 cantos of 30 to 40 eight-line verses each" (Kábdebo). Pretty engravings; the one facing the first canto (a besieging army aiming their cannons) shows contemporary touches of blue colour in places. Includes Lotti's collection of dialogues, "La Banzuola" (likewise illustrated throughout). - Date taken from the engraving on fol. O5v. Untrimmed copy. Sturminger 1973. NUC (pre-1956) vol. 342, p. 194. ICCU UBOE\075844, VEAE\001888. Graesse IV, 264. Cf. Kábdebo II, 290. Twelve folding engraved plates. 1 p.l., 300 pp. ; 1 p.l., 166 pp. ; 1 p.l., 165 pp. Three vols. in one. 4to, cont. sheep-backed mottled boards (minor rubbing, some foxing as is usual with this book). Berlin: A. Haude & J.C. Spener, 1746-50-51. 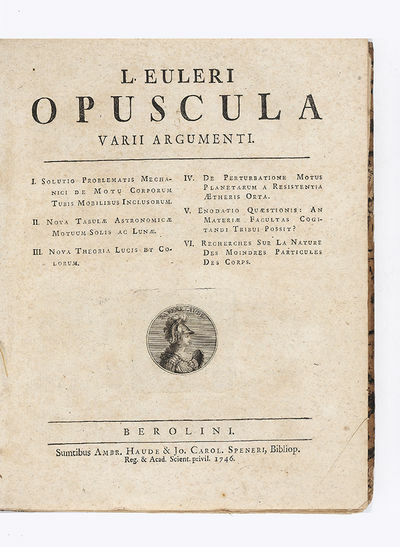 First edition of one of Euler's scarcer works; this collection contains separate monographs on astronomy, optics, magnetism, electricity, mathematics, and physics and includes several of Euler's most important and fundamental works. Vol. I deals mostly with astronomy and optics. It is valuable for Euler's tables of the sun and moon and for his discussion of the problem of perturbations. Euler's studies in astronomy embraced a great variety of problems: determination of the orbits of comets and planets, calculation of the parallax of the sun, the physical nature of comets, celestial mechanics, etc. With regard to optics, Euler herein rejected the dominant corpuscular theory of light and constructed his own theory in which he attributed the cause of light to peculiar oscillations of ether. Vol. II is concerned with physics and mathematics. Topics examined here are the propagation of sound and light, analysis, the theory of differential equations, and ellipses. In Vol. III, "Euler adopts the Cartesian doctrine of pores and magnetic particles, magnetic matter is more subtile than the ether itself and is propagated through a magnet in one direction only, p. 10; declination and dip explained, p. 30. "-Wheeler Gift Cat. 366. A very good set. Engraved bookplate of Canterzani. &#10087; D.S.B., IV, pp. 467-84. Houzeau & Lancaster 3482. Sotheran, Supp., 2242-"Rare.". Nachrichten von Island, Grönland und der Straße Davis, zum wahren Nutzen der Wissenschaften und der Handlung. Mit Kupfern, und einer nach den neuesten und in diesem Werke angegebenen Entdeckungen, genau eingerichteten Landcharte (hier fehlend). Nebst einem Vorberichte von den Lebensumständen des Herrn Verfassers. Traite des Renoncules dans lequel outre de qui concerne ces fleurs, on trouvera des observations physiques et plusieurs remarques utiles, soit pour lâ&#128;&#152;Agriculture, soit pour le Jardinage.